Sometimes an invasive pest takes a while to become invasive. 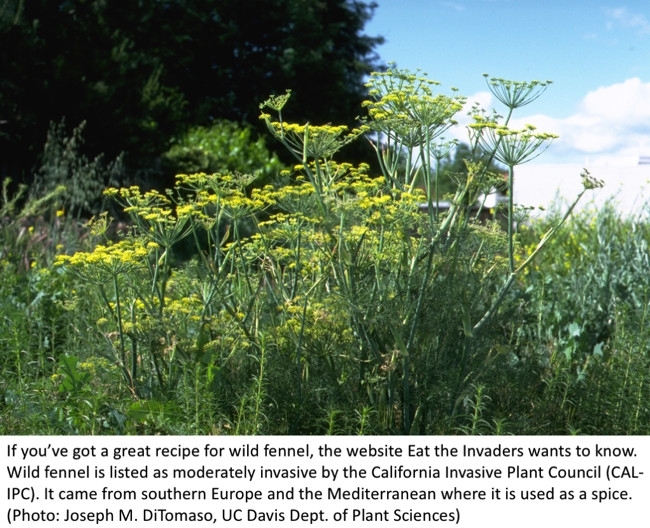 The Invasive Species Council of California defines an invasive species as “non-native organisms which cause economic or environmental harm.” So, until a species not originally from the area actually causes harm, it doesn't get the title of invasive. Take the Italian white snail, also known as the white garden snail. In San Diego, it caused extensive damage to agricultural plants in the early 1900s but was considered eradicated after a massive control program in the 1920s. 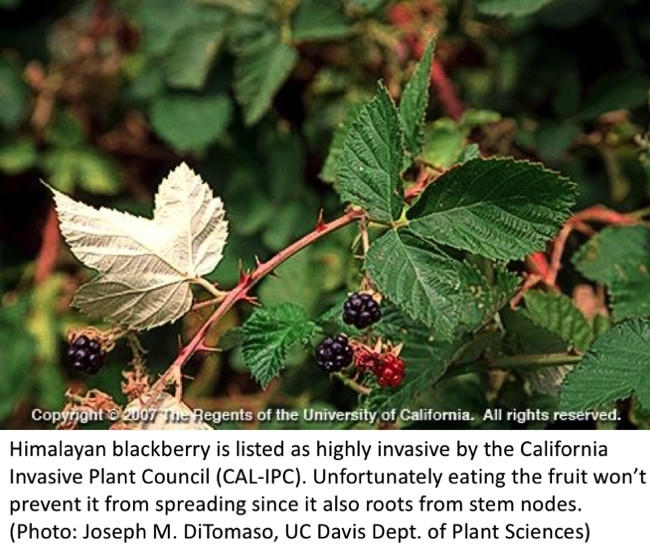 However, it was found again in San Diego County in the 1980s but it did not damage agricultural crops or gardens. 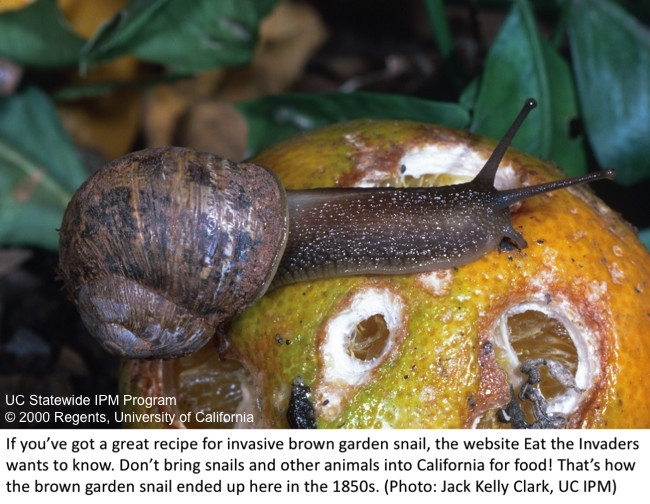 Instead the snails lived off of weeds in neglected fields. Now it appears to be moving slowly from these fields to fruit tree orchards and avocado groves as well as landscapes. The Italian white snail feeds on decaying organic matter and living plants, damaging leaves, flowers, and fruit. Another fear is it being found in cut flower growing areas or in nurseries where it could become an export issue. White or light tan, the Italian white snail is about the size of a dime or nickel when fully grown. It may or may not have brown markings on the outside of the shell. The inside shell color near the opening is light colored (compared to the milk snail, which looks similar but has a dark inside shell). 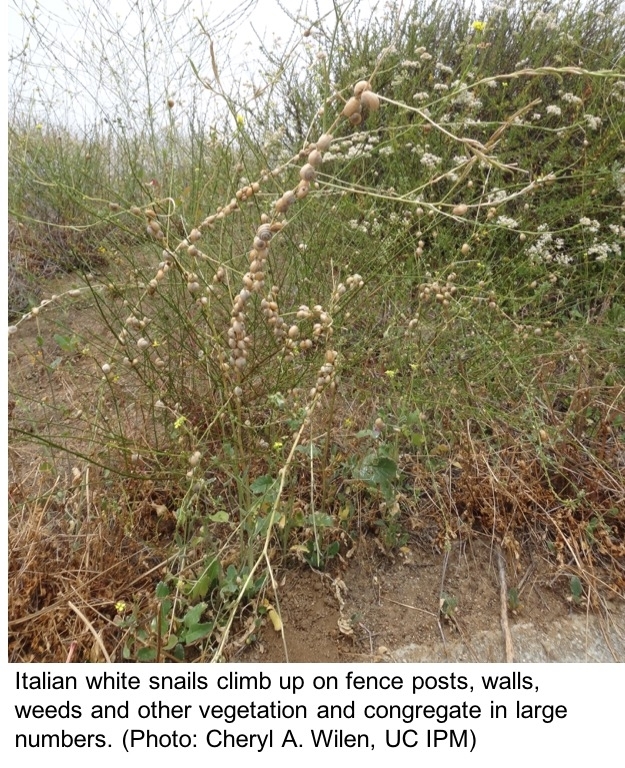 Italian white snails are most noticeable during the day and when it is hot, because the snails climb up on fence posts, walls, weeds and other vegetation and congregate in large numbers. 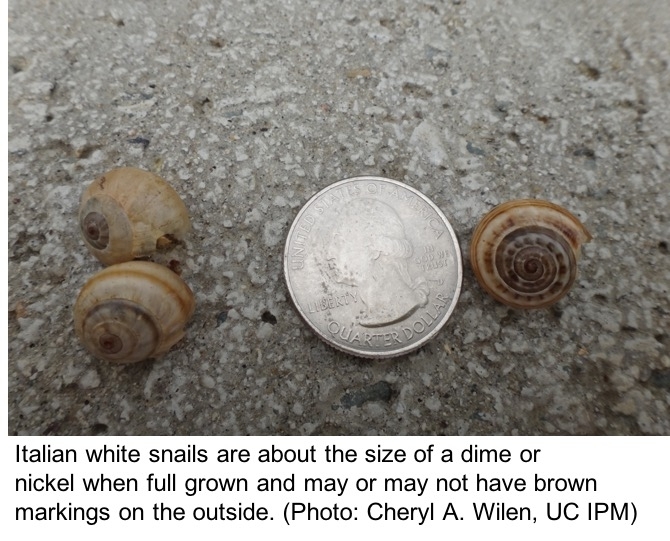 In California, the Italian white snail is only officially found in San Diego County. 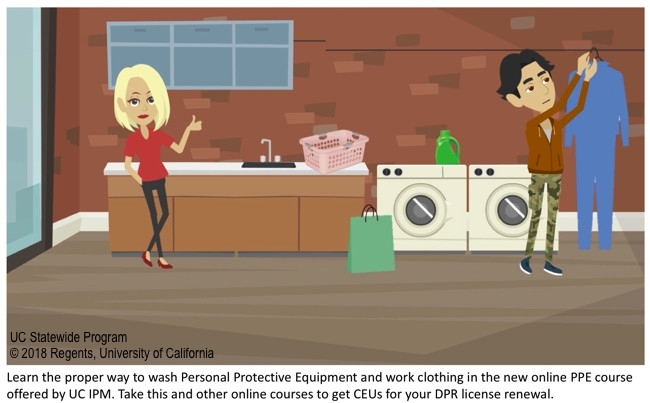 However, it could easily move to new areas because of its small size, which makes it hard to detect, and tendency to attach to many kinds of surfaces such as truck beds. Also, because land snails are hermaphroditic—each snail has both male and female reproductive organs—it only takes any two snails to reproduce!